While the world is gearing up to address climate change, events taking place in the US are in stark contradictions to the global trend. A report, titled Dirty Energy Dominance: Dependent on Denial, reveals how the US fossil fuel industry depends heavily on federal and state governments’ subsidies to grow and thrive. According to the report, released by the Oil Change International, a Washington-based non-profit organisation, the US federal and state governments gave away $20.5 billion a year in 2015 and 2016 in production subsidies to the oil, gas, and coal industries to support exploration, development and production of fossil fuels. This includes $14.7 billion in federal subsidies and $5.8 billion through state-level incentives. Every dollar spent subsidising this industry takes the global community away from achieving accepted long-term emissions reduction goals and preventing further heating up of the earth. The report highlights that the cost of federal subsidies to the fossil fuel industry is equivalent to the 2018 budget cuts as proposed by Trump to eliminate or significantly scale down public programmes and services meant to help vulnerable communities. Such programmes and services include food stamps, temporary assistance, waste disposal, children’s health insurance, community development block and grants for affordable housing. Such actions at federal level also heavily undermine the steps taken at the level of cities and states to address climate change. The cost of providing tax credits for unconventional fossil fuel technologies such as carbon sequestration and enhanced oil recovery (EOR) will be staggering $8.8 billion over the next decade, as projected by the Office of Management and Budget (OMB). The report observes how US taxpayers are being “forced to pick up a significant share of the bill—at least $3.5 billion per year in 2015-2016”—for something that causes irrevocable damage to climate and vulnerable communities. The report further points out that the federal and state governments spent more than $4 billion each year from 2015 to 2016 to incentivise coal production. With the signing of Paris Agreement, the international community has collectively pledged to limit the global warming to 2 degree Celsius and strive for 1.5°C. The evidence clearly reveals that US will fail to curb the power of the fossil fuel industry and meet international climate goals. 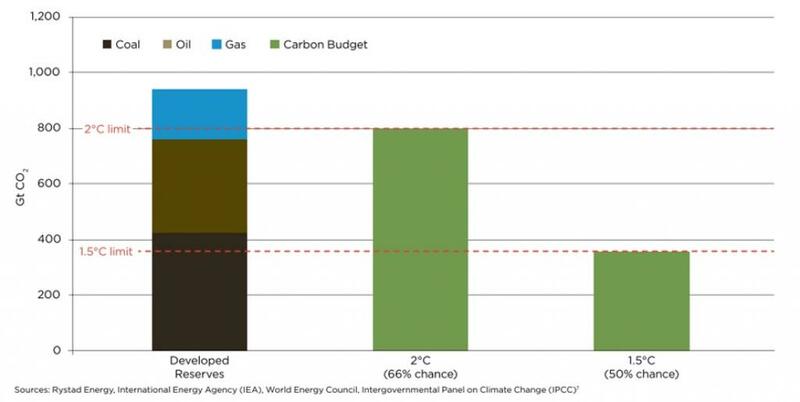 Figure 1 below reveals an alarming fact: carbon emission from fossil fuels in the already-operating fields and mines would alone take us well beyond 2°C. This implies that no new fossil fuel resource should be developed and the existing ones must retire soon. Hence, subsidising the fossil fuel industry is in direct conflict with the global pledge of phasing out fossil fuels. 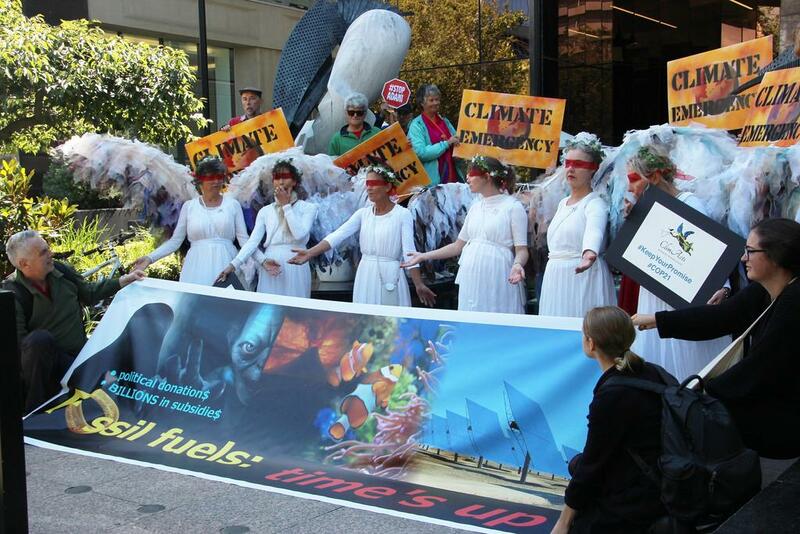 US support to fossil fuel industry guarantees its expansion in the future. The figure below shows that expected expansion of fossil fuel industry in the US is highly incompatible with the targets that the global community has upheld in the Paris Agreement. Immediately repeal existing tax breaks for fossil fuel exploration and production, and halt efforts to extend and expand tax credits for unconventional fossil fuel production technologies like EOA and carbon sequestration. Bring in legislation that ends investment in fossil fuel expansion and finance and support a clean and renewable energy economy. Pledge to refuse campaign donations and other forms of support from the oil, gas, and coal industries at all levels of government.